There are 1 trillion types of snowflakes and as far as science can tell us, the chances of two being identical are about 1 in 1 million… trillion. These are scientific facts which some people study and nearly everybody else finds dull. But what matters is that you can live 1000 lifetimes and pay very close attention but you will never find two snowflakes which are alike. 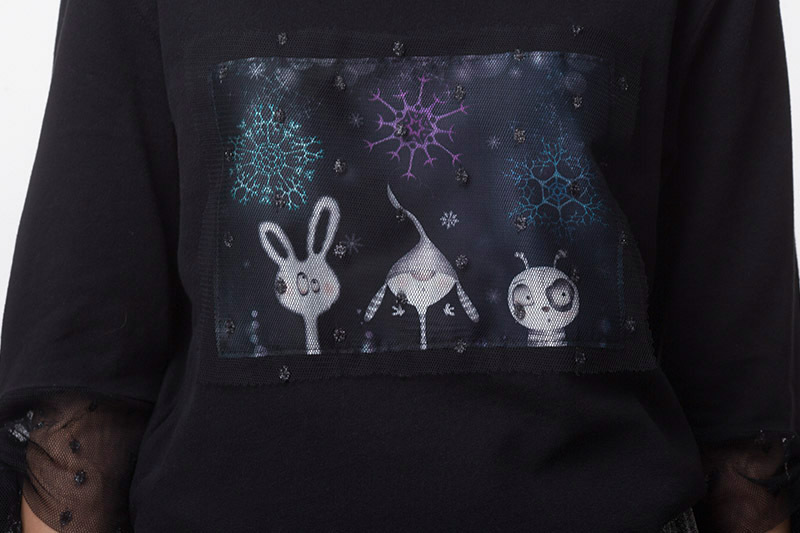 Description: This black crew neckline Sweatshirt is cut from soft-touch organic cotton light terry fabric and playfully embellished with Marabeca’s “Snowflakes Quarrel” original fabric print across the chest. 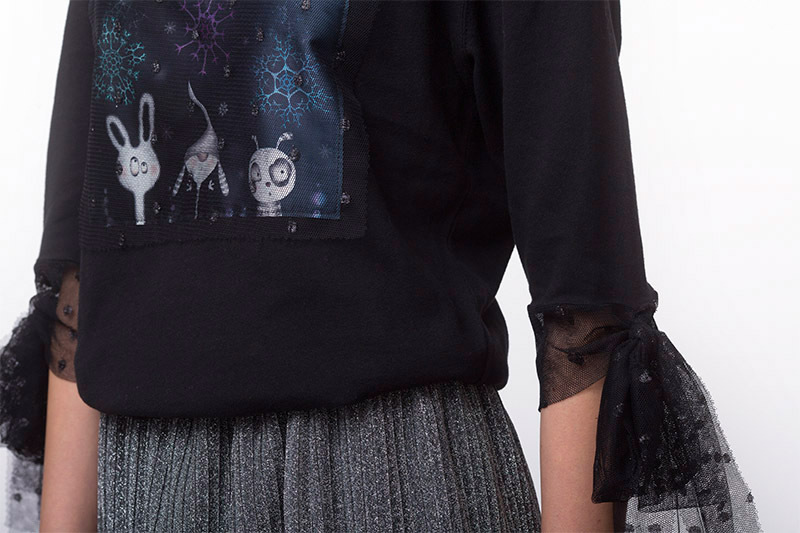 Black dotted tulle with silver insertions sewn over the print. 3/4 sleeves finished with bows in black tulle. If you like this playwear, please consider sharing.